It seems as though the interview posted yesterday was just a teaser of Kago Ai’s upcoming six-part interview as the video uploaded today is labeled part one. You can watch the whole of part one in the link below. Kago has also started a blog / fan community on Yahoo! 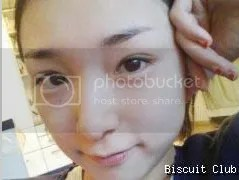 titled Biscuit Club, pretty cute title huh? You can also check that out below. How would I go about seeing what she says??? what you’re saying and the way in which in which you say it. You make it enjoyable and you continue to take care of to stay it smart. I can’t wait to learn far more from you.